Top of his list of targets: Coca-Cola (KO), Red Bull and Fanta. "We're taking on Coca Cola with our own brand called Mo Cola. We're fighting Red Bull with Mo Energy Drink, and like they have Fanta - we have our own brands," the CEO of MeTL Group told CNNMoney. Coca-Cola has been in Africa for 88 years and is everywhere. But the 40-year old is undaunted. Dewji's brand of the fizzy drink has taken 3.5% of his home market in Tanzania since launching two years ago. "If I take it to 15% I will be in the money big time," he says. Dewji isn't new to big challenges. He took his father's $30 million business and grew it to a pan-African conglomerate with revenues of $1.5 billion in 10 years. The company group now spans 31 industries in 11 countries, including businesses in agriculture, manufacturing, consumer goods, finance, mobile telephony, real estate, oil and logistics. Competing with big players like Coca-Cola and Pepsi (PEP) means that he has to manufacture and distribute on a mass scale. But that's not his biggest challenge. Persuading people to dump the big brands is much more of an uphill battle, partly because — as he freely admits -- "they have this amazing formula." "But [Mo-Cola] is a little different. I think it's more sugary. In Africa, I think people prefer drinks that are more sugary." He can offer another sweetener for consumers - his drinks are 25% cheaper than the major competitors. And he's not just taking on Coca-Cola. He is going up against big multinationals like Nestle (NSRGF), Unileve (UL)r and Procter and Gamble (PG) in Tanzania. "We've got almost 60% market share in oil, 60% in soap," he said in an interview. " If you look at Unilever and Proctor and Gamble in terms of their detergents and edible oils, they are merely at 5% or lower." 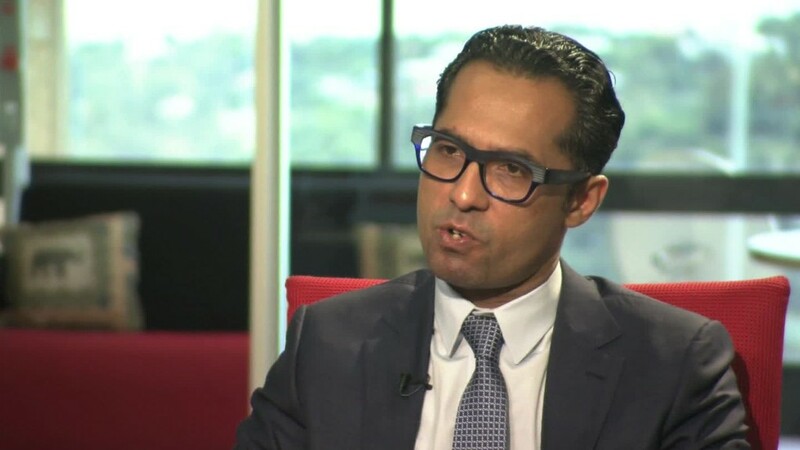 Dewji is the 31st richest man in Africa and has no plans of slowing down. His business contributes 3% to Tanzania's GDP and employs 28 000 people. That's nearly 5% of the country's workforce. If he gets his formula right, he's hoping to grow revenues to $5 billion and employ 100 000 people across Africa by 2018.